ROAM is an extraordinary journey in pursuit of good, inspired by our worlds most special INGREDIENTS, PEOPLE, and PLACES. 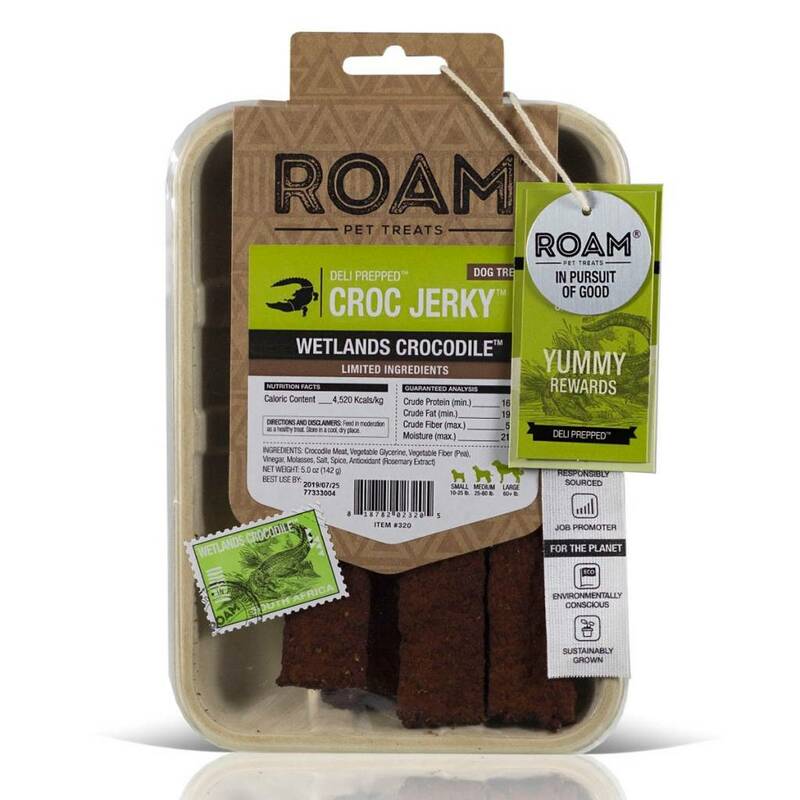 Supporting communities in need, our environment, and animal welfare, Roams treats are reserved for PETS WHO TRULY DO GOOD. These large reptiles produce a remarkably healthy meat, mild flavored and firm in texture; it is low in calories, fat and cholesterol. It provides high levels of protein, making it a heart-friendly white meat alternative. And, as a novel protein, it can help lower food allergy risk to dogs.